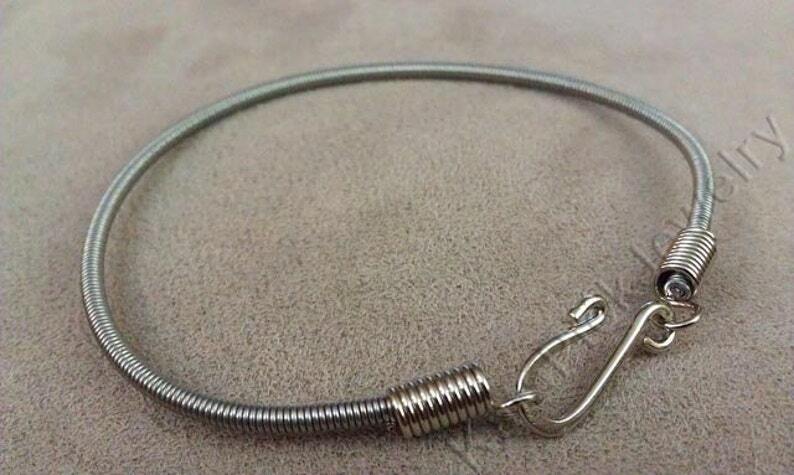 This is a bracelet fashioned from a bass guitar string. I custom make these bracelets from local musicians' used strings...the best of upcycling! They are great for men or women. My recommendation for sizing is to go up 1/2" to 1" from actual wrist size. 1/2" more makes a more "fitted" bracelet and 1" more makes more of a loose "bangle" type fit. My boyfriend LOVES his so much! Thank you!